I spotted two clever personal license plates outside a Nov. 15 reception at the Claremont home of Robert “Bob” Souza, the legendary founder of Pyro Spectaculars by Souza who died Nov. 6 at age 83 following a long struggle with chronic illness. Both displayed the enthusiasm of the plates’ owners who work in the fireworks business that Souza pioneered. The plates, I thought as I walked into his home, also could be apt descriptions of Souza himself. He definitely was a career pyrotechnic Rocket Man who expressed a kid-like glee for Painting The Sky with shows big and small. He developed his love of fireworks while growing up in a Portuguese family in Oakland. His grandfather and father regularly shot fireworks at Portuguese community events. He moved to Claremont in 1974 to work for California Fireworks Display Company, which did well under his direction. He founded his own Pyro Spectaculars in 1979. He celebrated his retirement in 1999 with a big fireworks show and party at the Queen Mary in Long Beach, but continued to keep a watchful eye on the business. His Rialto-based, family-run enterprise is famous for spectacular shows at events like Macy’s Fourth of July in New York, the Seattle Space Needle, Super Bowls and the Atlanta, Salt Lake and Athens Olympics. Work by the company Souza founded also is seen every Fourth of July in the Inland region in smaller shows shot by dedicated, long-tenured contract fireworks crews. Familiar displays explode over Beaumont, Yucaipa, Redlands, Moreno Valley and San Jacinto. Pyro Spectaculars shoots hundreds of community shows every Fourth of July throughout the Inland region and around California. 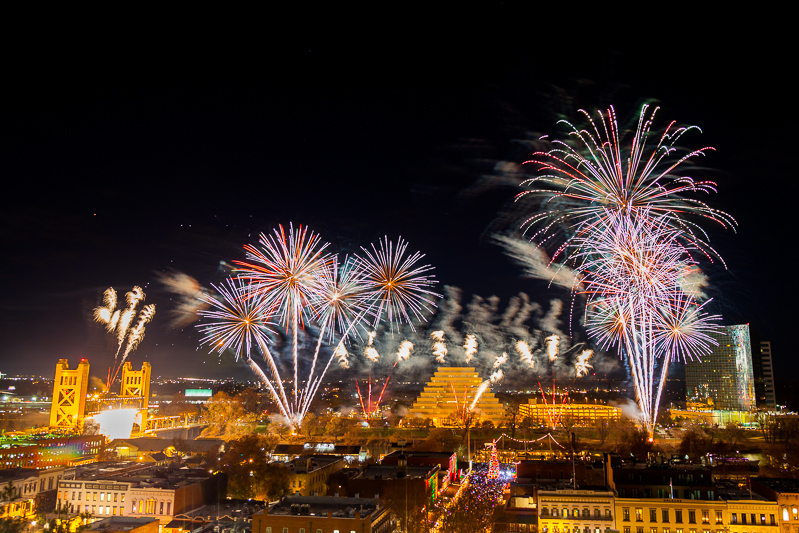 The fireworks at Riverside’s popular Festival of Lights is a Pyro Spectaculars production. I had the good fortune of attending University of Portland with Souza’s three children. 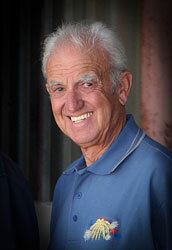 His eldest son, Jim Souza, now runs the company. The family remains involved in the business, including grandchildren. Over the years, I witnessed the glee Souza expressed for entertaining thousands upon thousands of people every Fourth of July. I saw the affection he felt for his surviving wife, Shirley, and their children, grandchildren and great grandchildren. He was a humble, gracious man who always displayed a bemused smile with a twinkle in his eye as he contemplated the next joke he would tell or fireworks story he would recite. His Funeral Mass was the sort of service that I’m sure inspired everyone there to try to emulate him as a spouse, grandparent and brother. It was inspirational to hear how he exhibited constant enthusiasm and love for his life’s work. His legacy will be the Pyro Spectaculars shows lighting up the Inland region, the state and the country every Fourth of July. Two generations of his family are continuing with his entertaining work. I will think of him whenever the Rocket Man’s fireworks Paint The Inland Sky.